Please use caution when viewing these processed images. They are compiled from shots that are not true side by side images but are take at separate times. 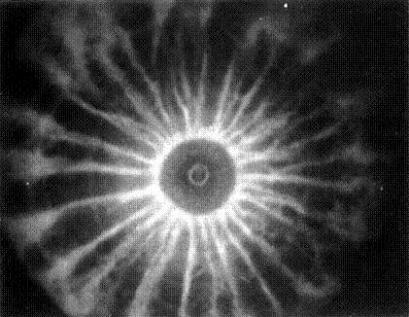 So, anomolies may exist between the images and they can cause eye/brain discomfort,, but those anomolies can also show changes by alternating between the viewing eye used. 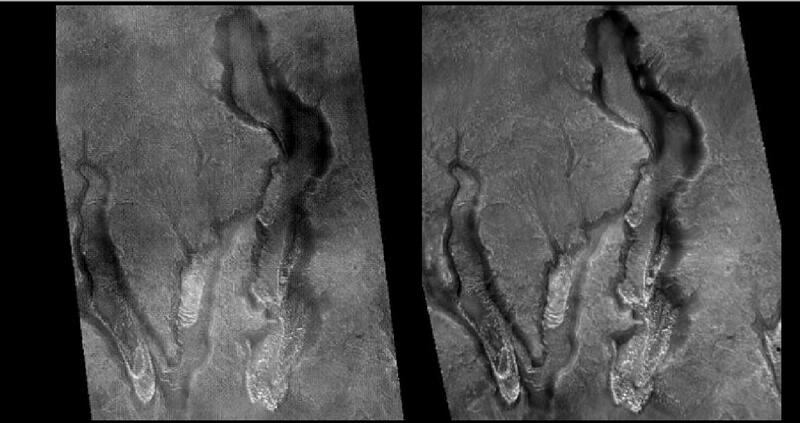 Stereoscopic methodology has been used for many aerial mapping purposes for decades, but there two cameras were mounted side by side preventing the anomolies of time-spaced shots. Please use caution! Also, some features may be 'very' exaggerated. 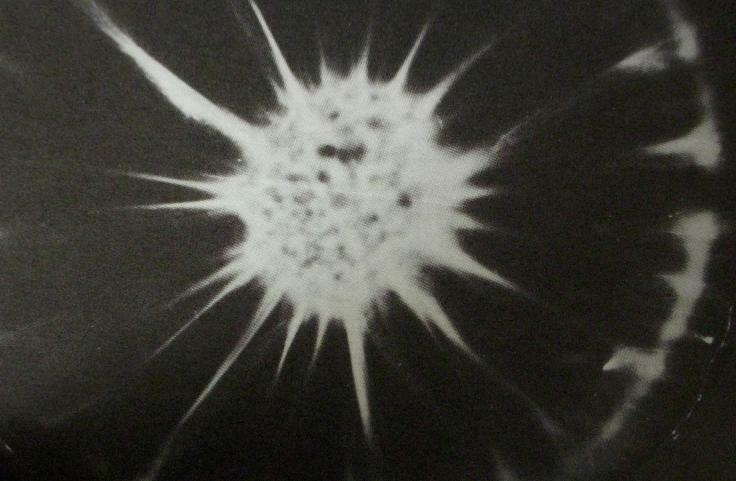 but the mechanism may be more involved than just an impact. An Electrical interaction may not give an approaching body the chance to impact as a whole body. There is more however,, notice the scalloped features in the rim of the small crater at picture's right middle. 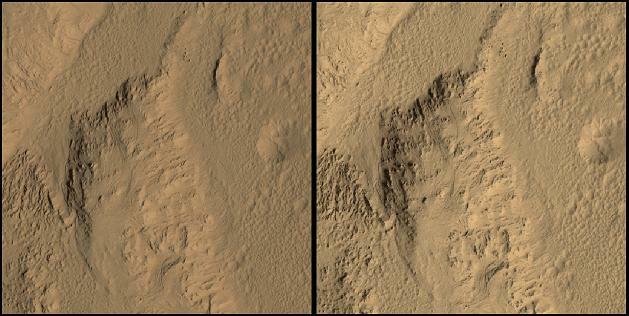 Those are miniature versions of what is above at Zunil's crater rim, many feet above this floor feature. you will hear about cylindrical current sheets dividing into secondary cylinders which carve the scallops, and apparently more. 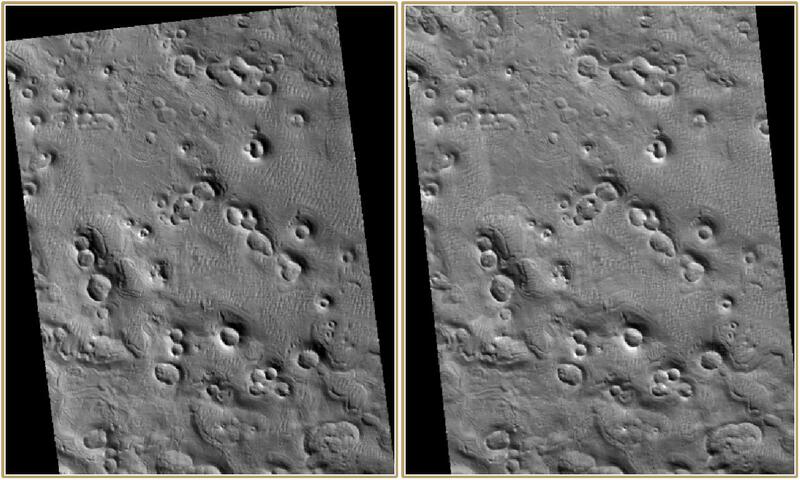 The left image below shows what may be their signiture,, a ring of craters around the remnant of the floor they just carved. 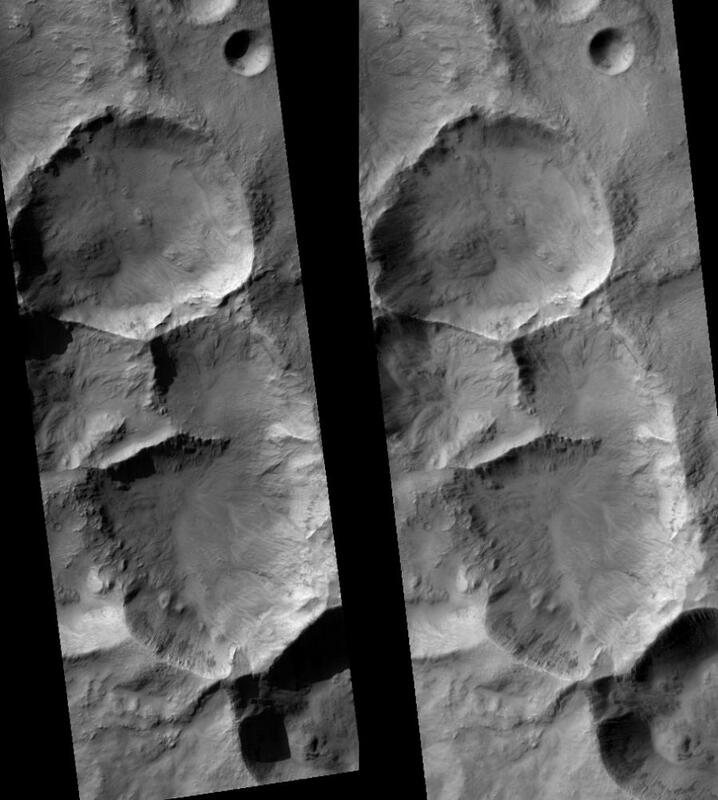 The image below shows a near match to Zunil's ring of craters, But these are in the crater caldera of a mound in the Cydonia region. 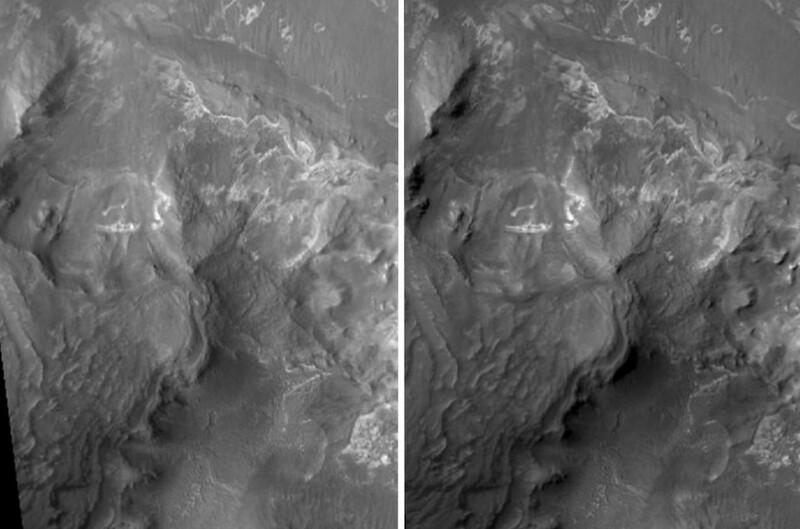 The image-pair at right is pulled back quite a distance. 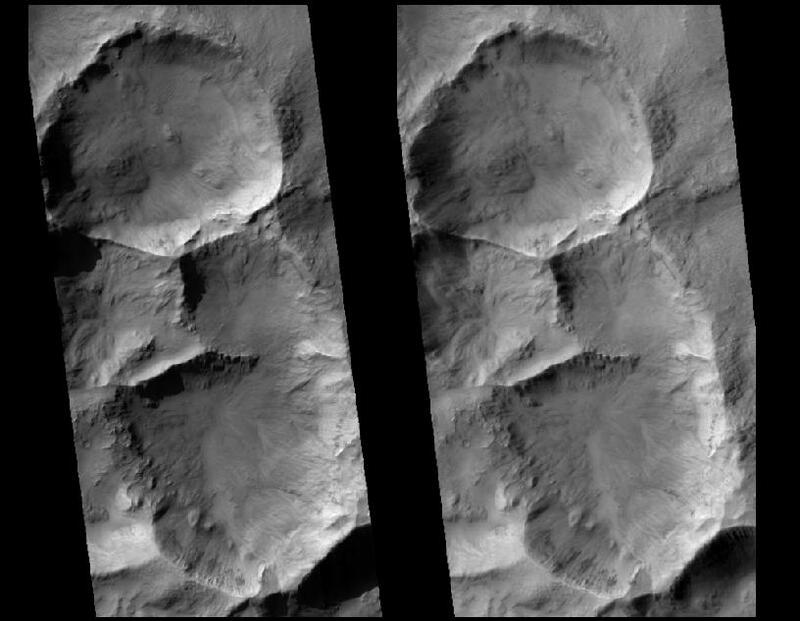 Compare the two sets of crater-rings within the cydonia mound. In the lower ring is an example of the next stage in machining,, the removal of the central structure by the EDM arc. To 3D image for above pair The rest of the region presents clear support for electric discharge formation in distant times. scan with google box at bottom of page. Look for the combination of features in the long shot and to the 11:00 position of the strip's location. 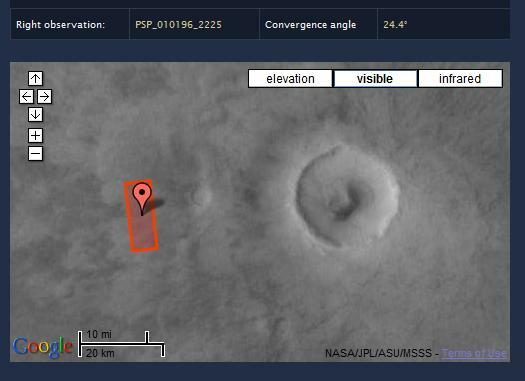 The combination of barely visible crater features and steep cut, rounded walls is sure a bit strange. The many levels of circular forms presents a considerable challenge to convential geologic processes. 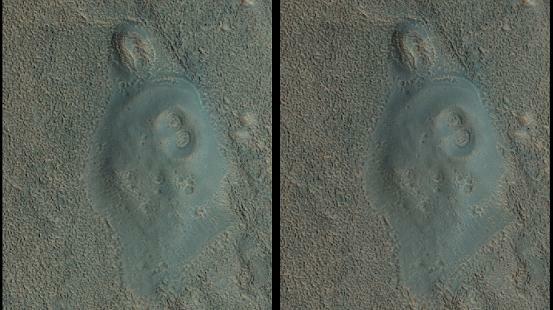 Two different craters having nearly identical crater rim appearance, How can that happen? 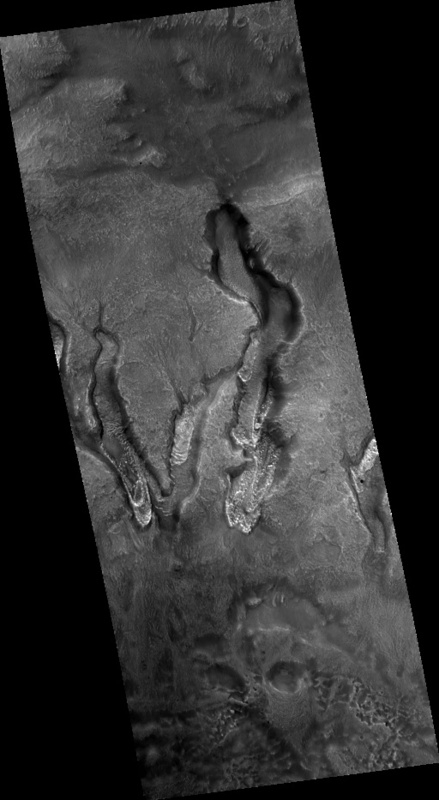 zoomed image of Emission of dark material in Cerberus Fossae ?? ?